... the government’s latest Green Paper, Support for All, may be, both in terms of financing family policy and the framework needed to bring these matters to the fore, just too little too late. To my mind, Green Papers by their very nature are offerings; quite how much they intend to take notice of the feedback they receive is another matter but the business dictionary defines Green Papers as “first‐draft documents on a specific policy area circulated among interested parties who are invited to join in a process of consultation and debate”. But what to do when those interested parties make up nearly an entire nation? Labour’s answer to this growing tidal wave has been to initiate a comprehensive review of the family justice system as a first step; a welcome step for a system that is ailing and for families who have felt let down by the process. Support for All has many endearing qualities, the first of which can be felt in the sheer number of times certain sentiments are expressed. I confess to not counting how many times the phrase “For the government, family relationships are personal and private”1 appeared in its many guises or its sister slogan “”It is not the government’s role to prescribe what a good work‐life balance is”2 but I do remember feeling at the end of the report as if someone had tried to brainwash my horribly jaded mind and then went on to wonder whether the government had consulted with various high profile hypnotists in order to maximise the effect of these repeated sentences. Whatever the truth may be, those sentences will not go unnoticed whether consciously (or unconsciously) by anyone who reads the Paper. But are strategically placed mantras enough? Support for All is not just laced with by‐lines it also demonstrates an unusually acute understanding of the nation’s concerns. It picks up implicitly on the many different perceptions of family, the need to support wider family relationships and the essential underlying notion that “the sheer diversity of family life now rules out ‘one size fits all’ approaches”3. I would certainly argue that the ‘one size fits all’ approach was never an appropriate model in the first instance, but the government’s efforts to move into line with what is happening on the ground, what has always been happening on the ground is a positive move forward. Grandparents, who have become a vocal demographic, are represented in this Paper, from acknowledging that they play active roles in their family’s lives to offering them information they may find useful on a website that has been launched, called Be Grand. There are currently 3,535 grandparents using this service but the Green Paper does not stop there. Labour offers in this Green Paper, more support for grandparents through pre existing services but more poignantly, they have decided to remove the requirement for grandparents to obtain the leave of the court before making applications for contact orders, where cases go to court. The predictable cry from the legal sector has been that this particular offering will have no tangible effect on grandparents’ rights in real terms, but this is perhaps to misunderstand the entire psychology behind how legal processes affect families and what type of cultural message we send out when we alienate, however marginally, the extended members of any family. There is of course a cost issue too: fewer applications mean less money for lawyers. This Green Paper can also be credited with crystallising the importance of trying to resolve family law cases outside of the court system and focusing instead on the emotional and psychological reasons for communication breakdowns and really trying to humanise family law processes not least of all by courting independent research on how relationships function and how separation affects that delicate balance. To this end, the Green Paper has also tried to include fathers, both single and married with a view to showing that it has heard those fathers who have raised concerns, especially post separation. Support for All is the home of the Think Fathers practice guide, to help employers promote fatherfriendly working practices and to consider any possible improvements on the current Tax Credits system for families. New dads will be able to find resources in the Bounty Packs given to their partners and a review of the notice period for paternity leave is also being considered. In its own way, the Paper is an echo of contemporary family dilemmas, which is in itself refreshing but given that the General Election is looming, perhaps nothing more than a golden chalice filled with empty promises. Yet the promises keep coming. Children feature heavily in this Green Paper and the government has enlisted the help of the Kids in the Middle Coalition to help produce guides for children whose parents are separating. Mothers who want to spend more time at home with children are being recognised as a thriving demographic and concessions relating to flexible working hours mirror this view. 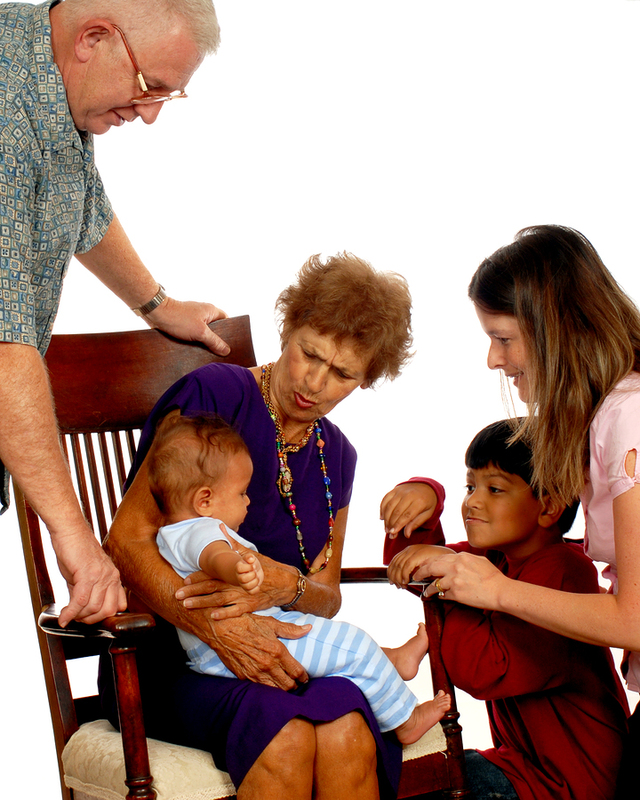 Care for children is re‐iterated throughout the Paper and although children in care are only mentioned briefly (due to this being focused on in other government materials) the Paper does discuss integrating services to make it easier to offer children support and fascinatingly, touches upon the issue of children being cared by relatives or friends. The Paper estimates that between 200,000 and 300, 000 children are currently living under such arrangements but their ability to gauge this fully is limited, as the Paper explains. Despite ringing all the right bells and making all the right pre‐election noises, this Green Paper begins to unravel when we look at the context in which these observations and concessions are being made. The Paper tells us that Lord Laming “concluded last year that robust legislative, structural and policy foundations were in place”4, which in many ways is a fair assertion, once we take into account the rather elegant Children Act 1989 or the many different organisations being used to try and address family breakdown, but the government cannot escape the most fundamental problem facing the family justice system: culture. From the adversarial nature of the legal process to the endless box ticking and form filling, goal‐driven departments who seem to have forgotten what family really means, buried alive by bureaucracy, there is very little room left to do any real work: the work of helping families. This realisation, coupled with financial cutbacks to the sector in a climate which is not well disposed to prioritising funding for family policy, means that if the current government want to deliver, they’ll need dough they don’t have, to do it. The last sentiment applies, unfortunately, to any other future governments that come to power. Is there another way? The answer is so horribly simple it would bring tears to the eyes of even the most cynical service provider: Human connection. Most of the time when families complain about the family justice system it is because of the way they are treated. Lawyers shy away from this predicament, telling those who will listen that their job is a purely legal one, that they are not counsellors and whilst on one level this is absolutely true, the way they interact with their clients is important. Similarly, judges, social workers and Cafcass officers, all need that human touch in affairs of the heart as most family matters are not really legal but emotional ones. For whether these professionals like it or not, their jobs require them to understand the human condition and to relate to it, in order to deliver an effective service. Sadly, it is not until people go through the system, as I did, that they truly understand why it affects so many families profoundly but the fact remains that unless our people skills improve, whatever window dressing future governments do and until they reach into the heart of the matter, it will serve only to destroy our family justice system and our family units too. Support for All is both a new approach to problem solving and a political summary of why we should vote Labour and although much of the paper focuses on what Labour has done to try and improve services for families, this is likely to fall on deaf ears as the services themselves continue to flounder and as the Conservative camp appears not to have a well defined take on the solutions to these problems, Support for All stands out as a lone ranger still looking for clues. Ultimately, the Paper presents an opportunity for people to get involved. Six questions have been placed at the back of the Paper for anyone who wishes to answer. At a time where governments both past and future feel completely lost as to what to do next, will you answer the siren song of Support for All?